With a view to achieving its maximum potential, Mexico recently launched a historic set of structural reforms aimed primarily at increasing productivity. To support these necessary programmes, actions and investments, the Government outlined a strategy to strengthen public expenditure, including amongst its strategic objectives the consolidation of a tax system that is simple, progressive and enhances revenue and formality. Informality is a threat to economic and social development. It is a major factor contributing to poverty, affecting nearly two-thirds (1.8 billion workers) of the global working population according to the Organization for Economic Co-operation and Development (OECD). Furthermore, the world is witnessing a rise in inequality, even in the industrialized countries where the gap between the leading (formal) and lagging (usually informal) sectors of the economy is increasing. Researchers have found that productivity in the former is growing at a respectable pace, whereas in the latter it is declining at an even faster rate [see, for example: Rodrik Dani, “The Growing Divide Within Developing Economies” Project Syndicate, 2014]. Mexico is no exception. It has nearly 51 million workers, 28.6 million of whom work in the informal economy. However, the informal workers’ output accounts for a mere 26% of Mexico’s gross domestic product (GDP). This means that formal sector workers are at least twice as productive as informal sector workers due to greater and easier access to distribution and sales channels, credit, and enhanced social security, among other things. Besides the problem of lower tax collection, there is also an opportunity cost in terms of the country’s competitiveness. 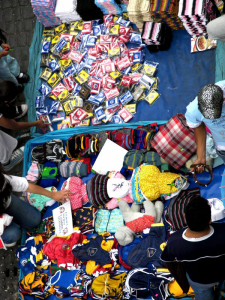 Previous attempts to reduce informality in Mexico did not succeed in building societal awareness that acquiring goods and services in the informal sector encourages informality to the detriment of the economy and the creation of formal jobs, not to mention other risks such as those associated with health and safety, notably goods and services that have not been subject to control. Better communication is the key to a successful strategy and results. This must be assured at all levels, throughout the whole country. All people participating in the informal economy must be made aware of the negative impact of informality, but most importantly also of the benefits that joining the formal sector would bring. They should all be informed about the mechanisms needed to become formal, and should be provided with the necessary assistance to take this step. Inspired by the second premise, the Fiscal Incorporation Regime (RIF) launched in January 2014 constitutes the main pillar of the strategy from a revenue perspective. It is a temporary mechanism designed to promote the transition towards formality, and it focuses on administrative simplification (e.g. simplified taxation rules and declarations), provision of fiscal and social incentives, and enhanced use of technology (e.g. free web applications to keep accountability records, issue fiscal invoices and submit tax declarations). The RIF replaced both the “Regimen Intermedio” (Intermediate Regime) and the “Regimen de Pequeños Contribuyentes” (Regime for Small Taxpayers, or REPECOS), and is aimed at small- and medium-sized enterprises (SMEs). Former regimes were not very successful in creating incentives to become formal since, among other things, they imposed onerous administrative burdens, including complex tax calculation systems and declarations; they did not allow the issuance of fiscal invoices, thus hindering potential businesses; and they did not offer social or fiscal incentives nor access to financing. SMEs with annual revenues of less than 2,000,000 Mexican pesos (approximately 130,000 US dollars) will be able to receive tax breaks and discounts in social security payments in exchange for sharing transaction information with the tax authorities. The government will also offer training programmes and credit lines as a further incentive. The benefits are designed to promote modernization and efficiency, allowing companies operating outside the system to exchange informality for the possibility of upgrading their businesses. This will translate into more efficient and profitable businesses in the long run, coupled with an enlarged tax base for the fiscal system. Significant challenges remain. Chief among these are overcoming resistance to change, combating a paternalistic culture, educating new generations to become responsible taxpayers and, more generally, putting measures into place that prevent people from becoming part of the informal sector (as opposed to the formal economy), to begin with. Nevertheless, the results so far are promising. In the first 13 months since the strategy was launched, 3,361,638 taxpayers migrated from REPECOS (the former, less controlled regime) to RIF, and by the end of February 2015, 978,145 completely new taxpayers were registered. By 22 March 2015, a total of 10,726,203 fiscal declarations had been processed, and 19,224,009 operations, including income and expenses declarations as well as simplified invoicing, had been conducted by this sector’s contributors through the new application “Mis Cuentas” (“My Accounts”) which is accessible through the Mexican Tax Administration’s (SAT) website and through mobile devices. To ensure the programme’s inclusiveness, specific mechanisms such as exemptions to submit electronic tax declarations are provided for people living in rural areas without Internet access. With a view to contributing to this debate, and in its eagerness to assume its role as a globally responsible actor, Mexico has developed a WCO case study that interested parties are invited to read and discuss. It provides a more detailed description of the strategy followed to combat informality through the RIF mechanism. It is available on the WCO website. Together we are better equipped to face challenges; together we can improve lives and build a more prosperous society. Let’s grow together! Physical persons with business activities that sell goods or provide services for which no professional degree is required. Annual income not exceeding 2,000,000 Mexican pesos (approximately 130,000 US dollars). A 100% discount on income tax (ISR), value-added tax (IVA) and excise taxes (IEPS) during the first year, that will decrease by 10% each year, for 10 years. Simplified mechanisms to calculate and pay taxes, and to file tax returns. Social security coverage: medical and maternity attention; invalidity, life, retirement and elderly security; and labour-risk insurance; infant care services and other social services. Access to special development bank financing for the acquisition of, or modernization of, equipment. Access to training offered by SAT. Access to housing and consumption credits from the Federal Agency for Workers Consumption and the Federal Agency for Workers’ Housing. Register with the Federal Tax Payer Registry. Issue digital invoices through “Mis Cuentas” and deliver sales notes when customers do not require invoices. Keep receipts that meet fiscal requirements for expenses and investments. Pay expenses, or expenditure above 2,000 Mexican pesos, by cheque or electronic means. Record revenue and expenses in the Fiscal System Registry “Mis Cuentas” every two months. Assess, deduct and pay over the taxes of all workers. File informative returns via the Internet with regard to the payment of taxes deducted from workers.